Oh the craziness that is family. We all know it. Whether we have one sibling, none or maybe eight, it's all the same. How is that? Oh I know, it's called relationships. We've had a bit of a lot of crazy in ours lately. But especially today and this past week. David said to me tonight, "I feel like my family has forgotten about me." He didn't say it in the poor me fashion that is so common, but more matter-of-factly. He went on to mention how we've been surrounded by his, and my family for so long. Now that we/he is down here at Fort Huachuca we are kind of left to fend for ourselves. Although I've been feeling like I've been doing that for awhile. With my friends too. The other day, the one I just posted about (baby shower/birthday weekend), I had set it up with some good friends of mine to watch the kids and clean my house. I confirmed two days prior and the day of. 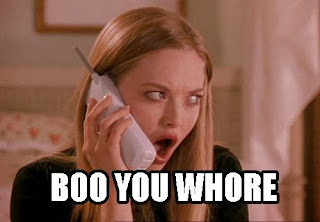 I dropped my kids off to the friends after attempting to take them to the location of the baby shower to set up and it failed, and promptly got a call about a half hour later asking when someone would be by to pick them up because they had to go to Costco. Scuse? I was super confused. I reread my text messages to make sure I didn't make up what they had said 2 hours previous. I was right. Then, there was a miracle. Like my friend Jessica always says, there is always a miracle. My dad showed up to pull/burn weeds. Oh and this is because my crappy neighbors told my other neighbors they were going to call the fire department on me because they were a fire hazard. I told this straight up mean woman that it was very hard for me to do yard work with an 18 month old constantly at my feet. She's a beeyotch. (The neighbor. Not Nevie) Plain and simple. I said in my head, and this is truth and probably really rood, that I hope she dies soon. She is old and crotchety and is really just a Mean Girl. So anyway, he came to help me and it was seriously timing from God. I know it. Because he showed up RIGHT as I received the text and had called the girl who was at my house. She said, "your dad just showed up." So then I called him and he, being the sweet amazing man he is, said it would be no problem. All was well. But it was not well for awhile. That was the most insane weekend of my life. Because after that day, the next day was the party. But before "next day" as my kids say, it was previous night. And previous night was spent up with two of my good friends. We were chatting and having a push up contest and being jolly. 2 a.m. was the time that we attempted sleep. And attempted it was because we have a Nevie still. A Nevie who woke up many a time during the morning (yeah 2. a.m. is morning remember?). The sun rose early that day I think. So, while I absolutely love my family, they all showed up right on time! You may think, 'why is this a bad thing?' It's a bad thing because I was in my pajamas when they showed up. With no makeup on and much to do. I feel like it's maybe kind of a nice thing to do to show up to a party your sister/daughter is hosting a teensy bit early to maybe well, help? Steph, don't tell me this is one of those expectation things because I very much didn't have it in my head that I would have extra help. It only occurred to me that very morning when people were showing up and I still looked like hell. So after throwing on clothes, and some mascara, I sat down and let my sister rub my shoulders (this made up for the non showing up early) while watching friend do my dishes. I apologized later to her because it didn't even register that there I was, literally staring at her doing my dishes. I can't wait to start my own "The Farm". I know that's not how I should say it, but it's funnier. 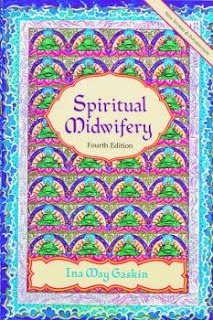 Have you read Spiritual Midwifery by Ina May Gaskin? She started a farm, that's what they call it. And it was a group of people who, to put it simply, helped each other. 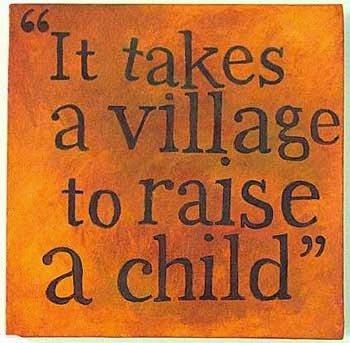 Kind of like the Law of Consecration in modern day. Except in the 70's. I already have plans for my own. I hope you'll come. I call being a midwife! And the party planner! And the restaurant owner! lol. Joking. But serious. So anyway, I don't know the true point of all of this. I mostly wanted to get a tiny bit of it off my chest. I've just been feeling burdened by the feeling of aloneness even though I'm really not. Maybe one of the lessons I'm supposed to learn is that of reaching out. Reaching out to ask for help. Maybe I'm supposed to learn to rely on the Lord more. I know one thing my sister mentioned as a very valid point is maybe it's my time to move on. And while I know it's happening, I wasn't prepared for it to happen this early. David and I are going places. Literally. I've been feeling somewhat homeless lately, and like I've said to many of you my friends, is that I am alone in Paulden, and I'm mostly alone here (at Fort Huachuca) because David has school/work alllll day. And for a long time and I don't have friends here. So it's just a lot of aloneness except for my sweet kids who can't quite talk to me about this frustration. lol. This is not Lisa's pity party. This is Lisa's space to process. Where I get to tell you all my feelings. Anyway, so there you go. Do you feel alone sometimes? Do you wonder why you have family/friends sometimes? just kidding. I would never do that.